The quiet flowerworks in the mind of God . . .
A dillburst in the flower borders. 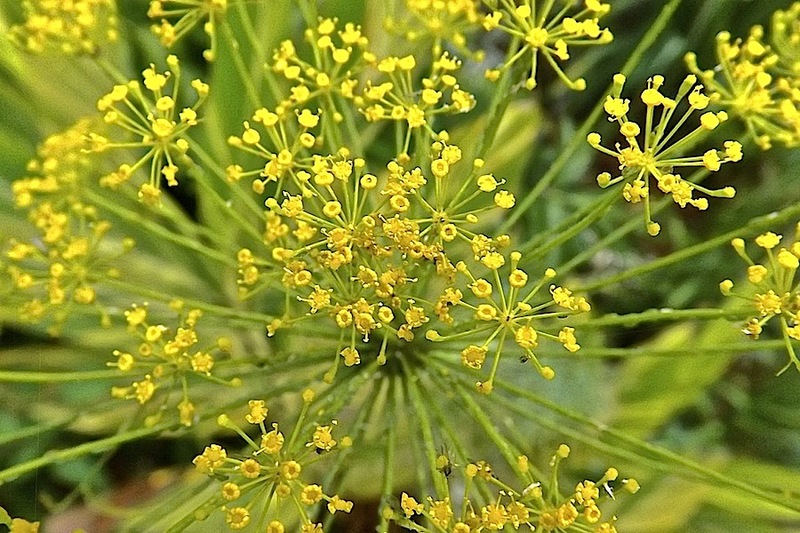 During the summer, I transplanted a lot of small dill plants from the vegetable garden to the yellow areas of the flower borders. 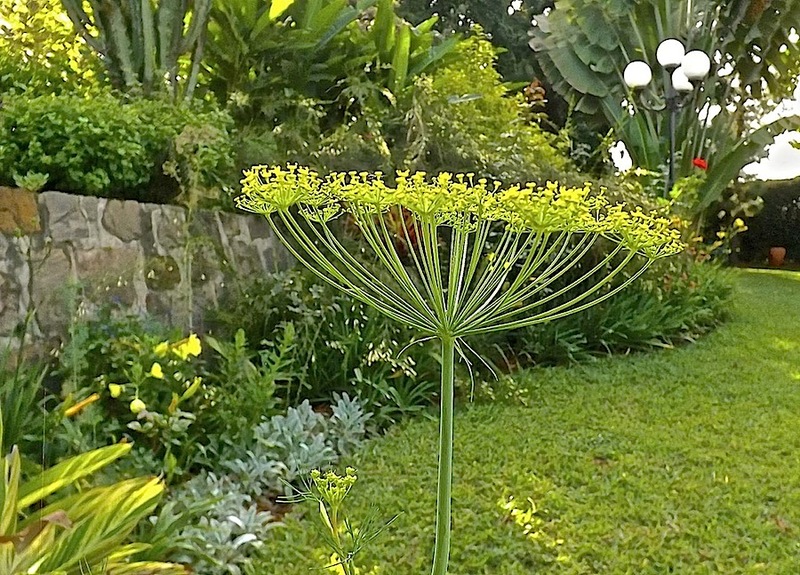 Unfortunately, dill really doesn’t like to be moved, and it really doesn’t like it during the dry season. So all the little plants just remained little. But lately, after six weeks of rain, they are growing and a few have begun to bloom. 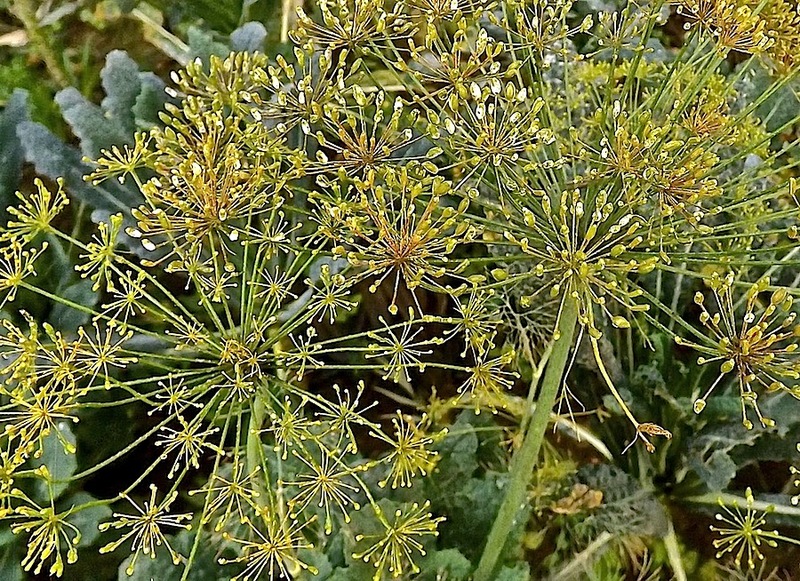 I’ve always thought that dill is a nice ornamental plant. Eventually, that variegated ginger — of which you can just see a bit above and below — will be huge and dominate this area (and there is another very small one hidden to the left of the dill bloom below). I was pleased to get the picture above. The yellow of the primroses is usually too intense for my camera to capture any details. 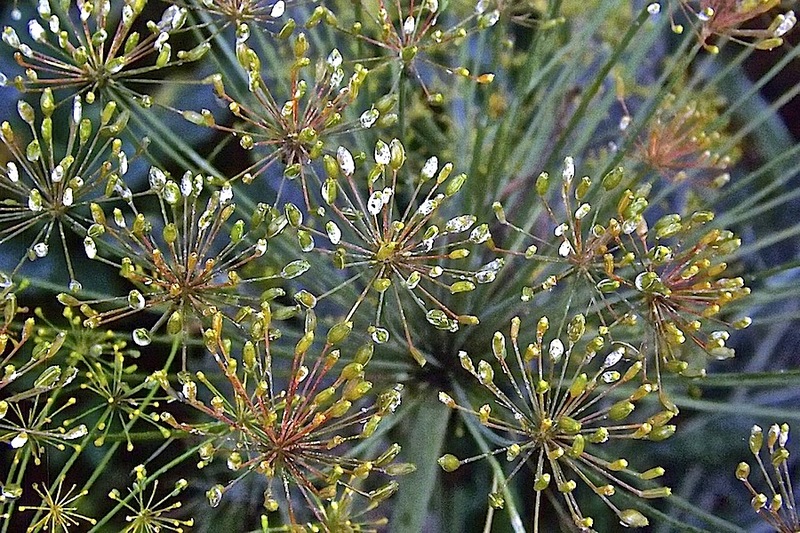 Above, the dill blooms/seadheads are beautiful even as they fade to tan. In our vegetable garden, the dillworks continue. . . . In the background are blue-green Russian kale. Some of the next batch that I grow will also go into the flower beds — like these at the Smithsonian’s Butterfly Habitat Garden. 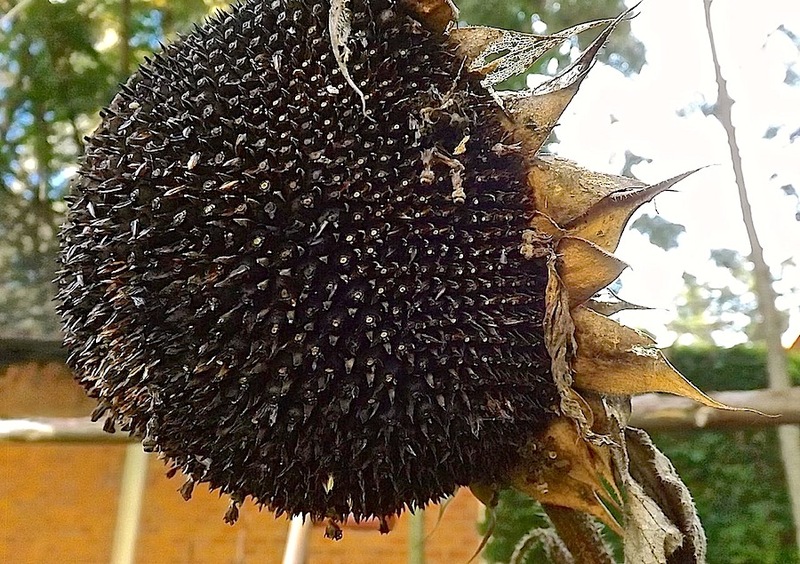 This Bloom Day, I also got interested in the after- blooms of our sunflowers. Below is what one of them looked like at the end of summer. 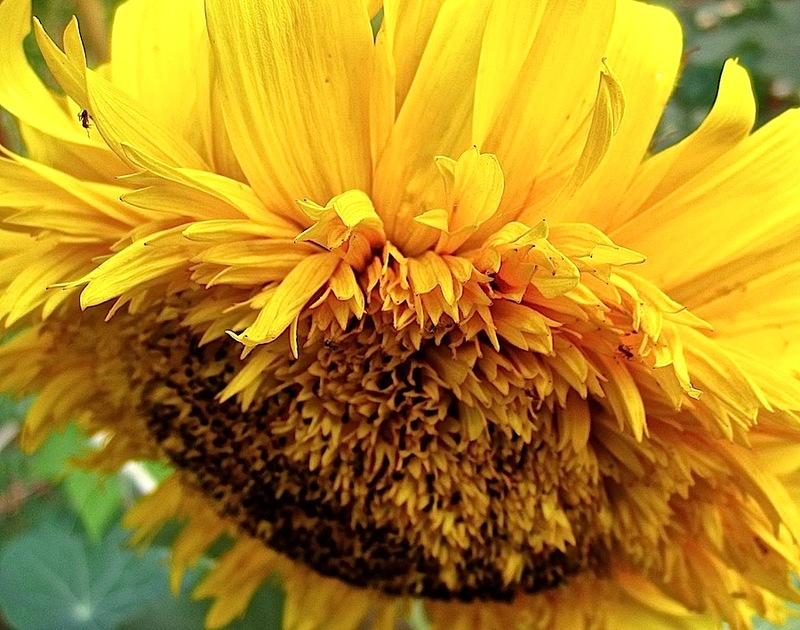 Garden Bloggers’ Bloom Day is the 15th day of every month. 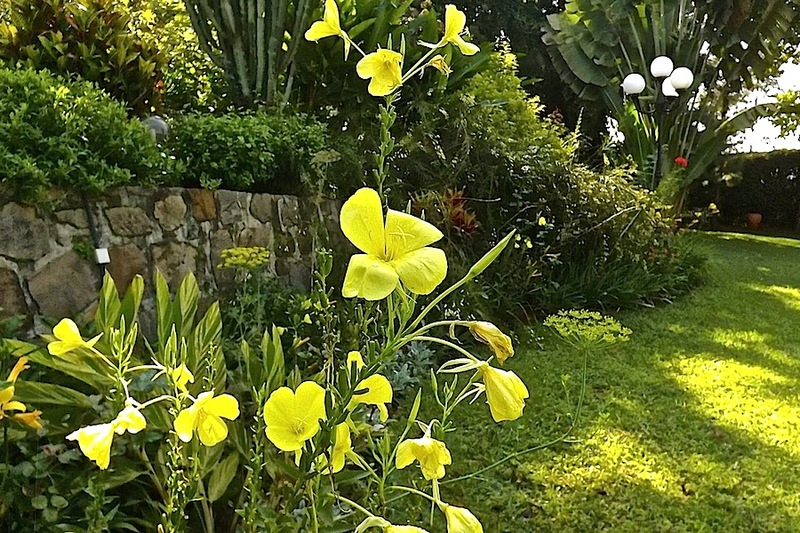 To see what’s blooming in other garden bloggers’ gardens, please visit Carol at May Dreams Gardens. 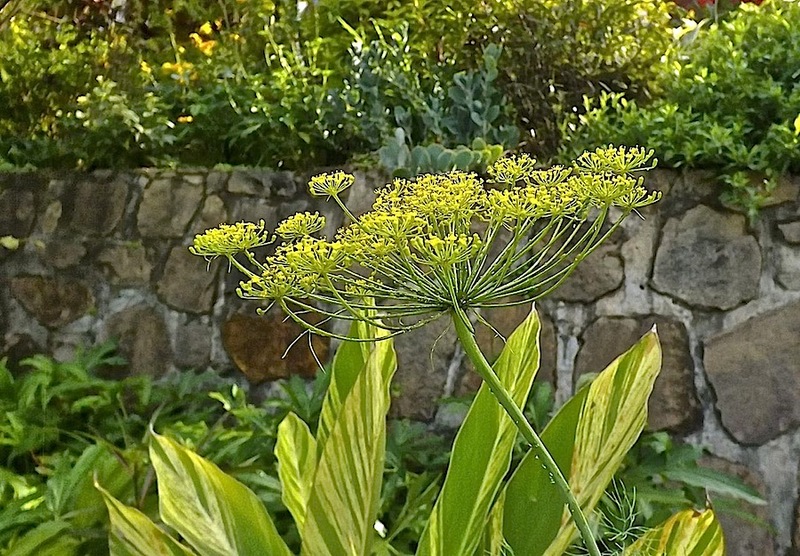 The dill has a fantastic shape….I hope it self seeds too….Happy gbbd! 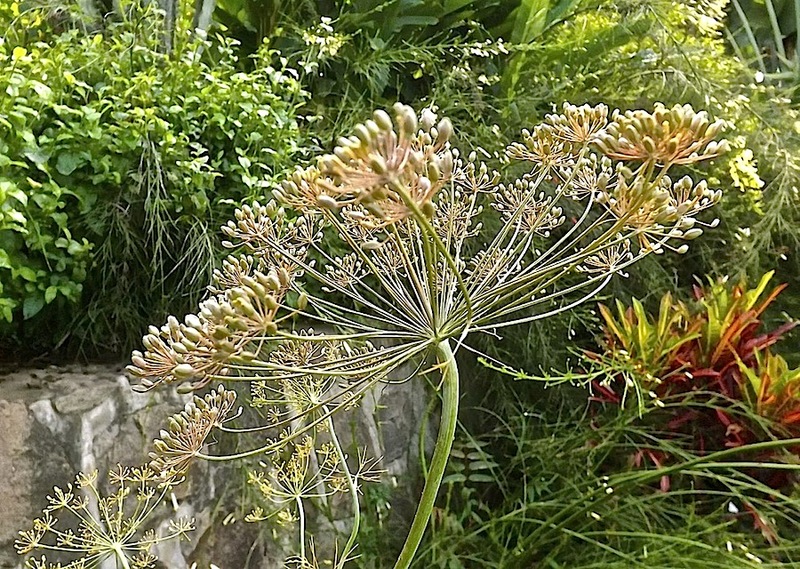 There was one dill plant in the garden when we arrived and now there are dozens. Fortunately, it’s easy to weed out when it gets to be too much of a good thing. Amazing garden. 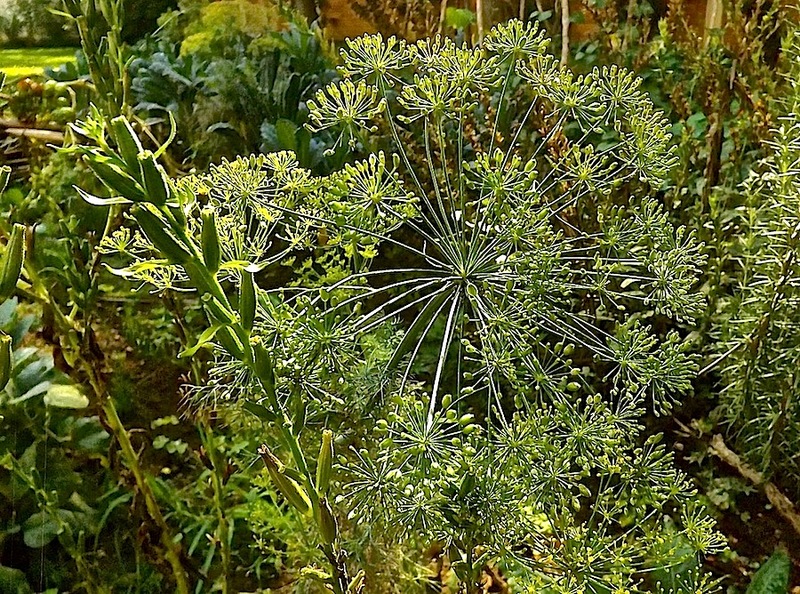 I have planted dill but it never looked like that. 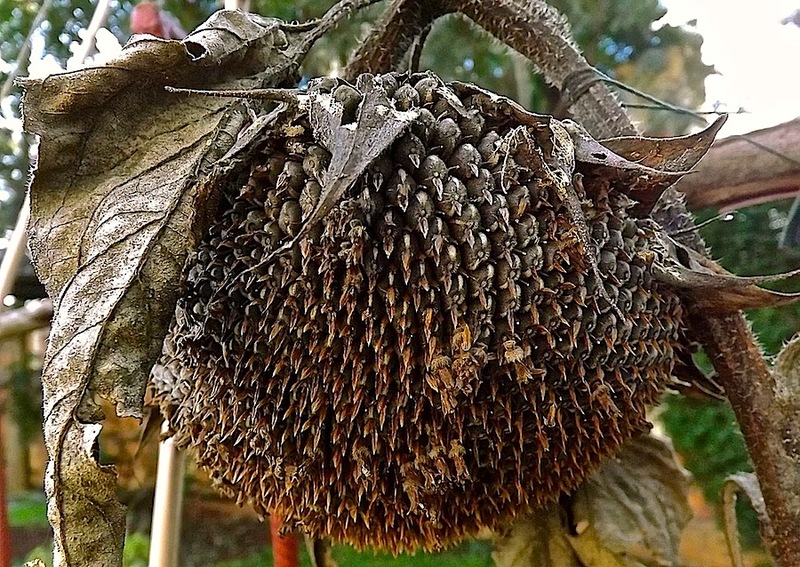 At my Colorado house we have tons of volunteer sunflowers but I didn’t see them this year until they were all dead and very difficult to pull. 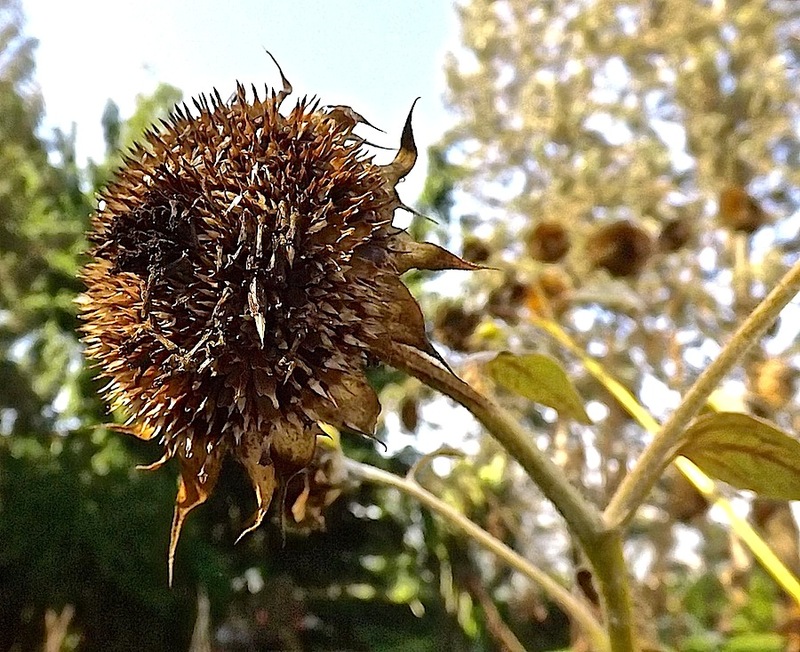 I love sowing sunflowers, but I also dread the moment when they have to go — they can be like pulling up trees. And…, and…; always look forward to a different world. Thank you! Thanks! I am enjoying your blog too! What sort of monster, magic dill do you grow? I’ve never seen it look like that. Not in my garden anyway. Lovely photos. Thanks! I think I just caught them with the right angle. Two wonderful plants. Nothing like brushing against dill in the garden. Oh, I know. And they can give you such nice floaty spots of yellow.